Electrical issues in the home can range from annoying (a minor shock) to the catastrophic (an electrical fire). Thankfully, taking a proactive approach to safety and being conscious of the risk factors can go a long way toward minimising the risk of harm or property damage caused by electricity. A residual current device (RCD) can be the difference between life and death. An RCD immediately breaks an electric circuit when you make contact with it, preventing ongoing electric shocks and reducing the risk of serious injury. You should have at least two RCDs in your home. Despite the critical role they play, RCDs are known to be susceptible to corrosion, particularly here in Perth where the coastal air can accelerate the oxidation process. To prevent this from happening, regularly test your RCD by simply pressing the push button present on the device. Since 1997, it’s been mandatory for all new and renovated properties in Western Australia to install mains powered smoke alarms. These alarms play a key role in protecting you in the event of a fire, so it’s important to ensure they’re in good working order. Verify the green LED light is glowing and check the expiry date – most smoke alarms will last for a maximum of 10 years, though some fail long before this date. Every time you turn a light on or off, the little springs inside the switch put pressure on the plastic. This can eventually create small cracks in the case and leave the electrical innards exposed, which would electrocute you if you were to touch them. Keep this risk to a minimum by regularly checking your light switches for cracks and repairing any evident damage. The modern home contains so much complex wiring that it’s almost impossible (and unsafe) for most people to check it all on their own. The good news is that your local domestic electrician in Perth can carry out a thorough inspection on the condition of your home’s wiring, switchboard and RCD integrity, and identify any potential issues that may need to be addressed. As a general guideline, we recommend getting a professional electrical inspection about once every three years. Are you looking for an expert Perth electrician? 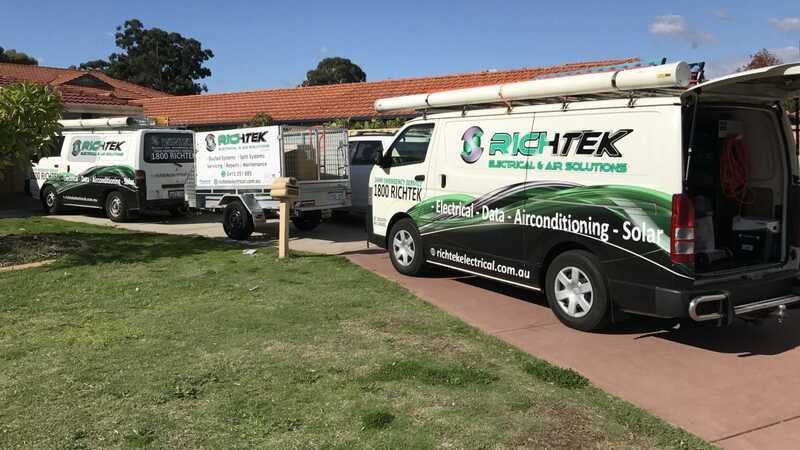 With more than 12 years in the electrical industry, Richtek Electrical Solutions has the experience, advanced diagnostic tools and specialist knowledge needed for any residential or commercial electrical work in Perth. Contact the team today to discuss your options.